When I was in school – or, hmmm, perhaps he waited just until after graduation – my dad told me about his favorite grade: the A-minus. My dad carried a full workload in school, was active in ROTC, worked, and helped his family on the farm when he could. He was a busy guy. And he developed a strategy for balancing everything, and specifically, for performing well in school: Get an A-. This might not seem like fatherly advice. When I first heard it, the internal over-achiever inside me was shocked. Shouldn’t we strive to nail the A+? The emphasis is on finished. This philosophy can be applied to your personal life, daily work or business launch. At IOLITE Global, most of our clients are launching a product, or doing something new. Most have business plans where the strategy is mapped out, and frequently, we help create that roadmap. Yet there comes a time when you need to let go and ACT. To give an example of how this could help you in a launch: putting a good plan into action gets results faster than developing a ‘perfect’ plan that stays on the shelf too long. Why? Implementing a plan helps you ‘pivot.’ I’ve yet to meet a business owner who had a plan, put it into action and had it work perfectly according to the predicted customer response. Fortunately, our plans get launched into a world where people make their own decisions and think differently from us. Fortunately, I say, because those insights can be delightful and lead to much success. Markets change quickly. Waiting to launch lets your competitors get out in front. And you might have developed an outstanding plan that would have worked really well… last year. In marketing, we say ‘there is no such thing as perfect information.’ At some point, you need to balance data with marketplace knowledge (read: expertise and intuition) and faith. Making a decision means you find out if you are right or wrong as fast as possible. All of this is said with a caveat: do your homework. 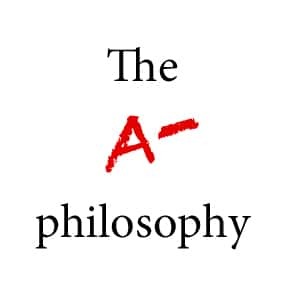 In the A-minus philosophy, your goal is still to get the most points possible – to achieve excellence on many fronts, without spending time chasing perfection on a single front. On the personal side of things, I’ve found that my dad had it right. By adopting the A-minus approach, I’m more productive and less prone to burn-out. Instead of the ‘do it all’ mentality, I have a ‘do it well and be done’ approach. I sure wish that someday something I call ‘excellent’ and worthy of an A-minus is actually ‘perfect’ – it’s hard to kick that over-achiever mentality to the curb. But I’m not going to lose sleep over it. Instead, I’ll already be well on the way to another A-. Erika Hovland, founder of IOLITE Global Consulting, provides advice on business growth strategies to companies ready to unleash their potential and accelerate innovation. Erika is also an Adjunct Professor of Marketing at Temple University. Next articleWomen and appearance: Is the glass ceiling really a mirror?